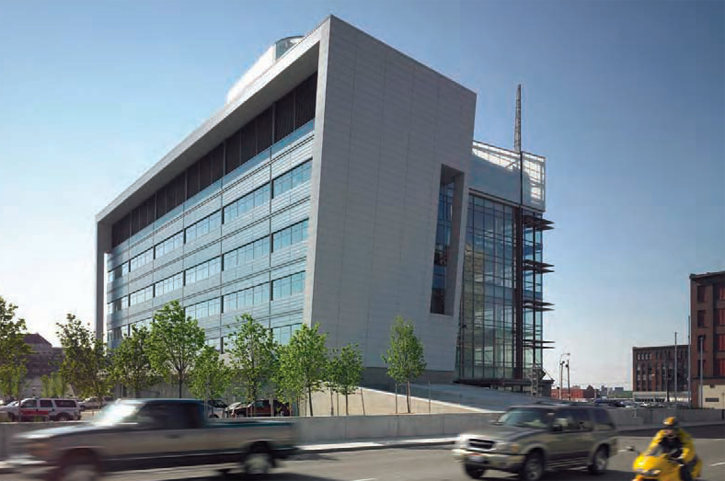 Harry Warren led the design and client meetings for the Erie County Public Safety Campus, a winner of AIA Design Awards and a National SARA Design Award. The building contains forensics labs, emergency operations, police evidence facilities and a 911 call center serving over 6 million people. The building has 50 foot setbacks from the public street and obstacles detailed at grade to resist car bomb attacks. The structure is designed to resist progressive collapse. MEP systems can function independently from outside power. The exterior is designed to convey a high-tech, state the art image in a dignified way, incorporating metal panels, precast concrete and glass curtain walls. Offices are located along the south facade, overlooking Lake Erie in the distance. The facility was a fast track design/build project.